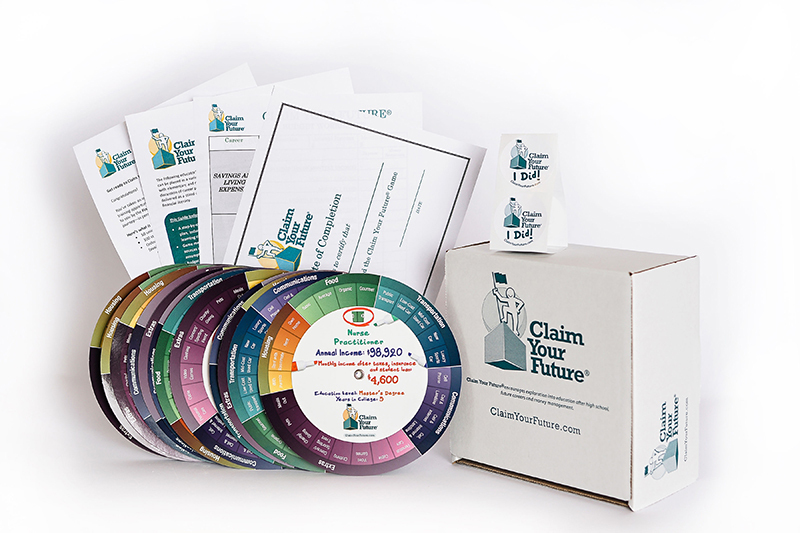 The full Claim Your Future® program, including 50 unique career wheels, an educator guide, and budget worksheets can be purchased for only $299, plus $9.95 shipping and handling and applicable sales tax. To purchase a kit, please complete the order form, including your desired kit quantity. Our Claim Your Future sales team will be in touch with you immediately. Need financial assistance? Perhaps your local parent association would be willing to purchase a kit on your behalf. Most are very supportive of raising college and career aspirations and may be willing to assist you in identifying a possible sponsor. Organizations interested in bulk orders should contact education@FAMEmaine.com. Volume discounts and co-branding opportunities are available!